Here you can either generate a new API key or use one that is already turned on. In Connect, click the Settings icon ( ), then click Settings > Providers. On the Providers page, click the Add provider button. 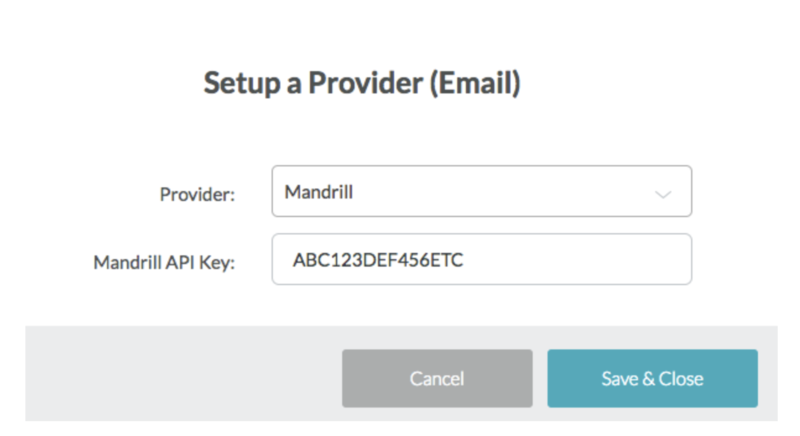 Select Mandrill from the provider drop down, enter your API key, and click Save & Close.